Amazon: Up to 40% Off Select Perfect Fit Density Pillow 4-Packs – Today Only! Would you like a better night’s sleep? Consider picking up new highly rated pillows to help! Hurry over to Amazon.com where today only you can score up to 40% off select Perfect Fit Density Pillow 4-packs! 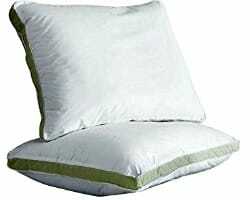 Prices start at just $29.99 (regularly $49.99) for standard pillows with medium or firm density. Queen and king sizes are also available.